I just finished reading I Thought It Was Just Me (but it isn’t) by Brene Brown and I couldn’t help but think about the ways we should translate Brene’s ideas into the nonprofit sector. The book’s core is about shame – the ways it effects people, how it manifests in one’s actions, and how we can better address it as a society. Shame is not an easy topic to talk about, but that just proves how important it is. In the nonprofit sector, emotions run high and resilience can become tough. We are all working our hardest to do the best work we can, and sometimes, we can let our frustration get the best of us and lash out on others. This is a defense mechanism – in our minds, by shaming someone else we are somehow lifting ourselves – but something that we should all pay closer attention to. A little bit of compassion can go a long way in the workplace, and will ultimately allow us all to do our best work in a supportive environment. 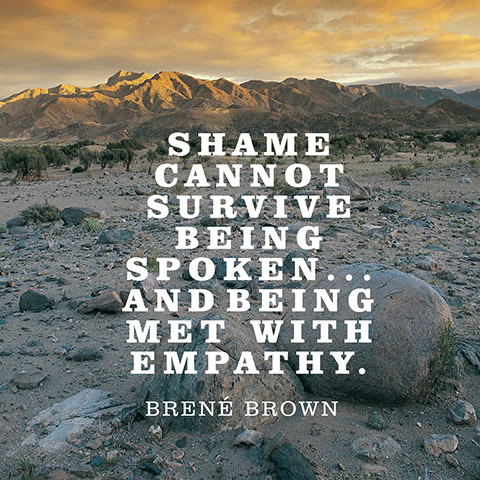 Brene’s work is very interesting and I encourage you to take a look and consider how shame plays a role in your life. Because the more self aware we are, the better work we can do. 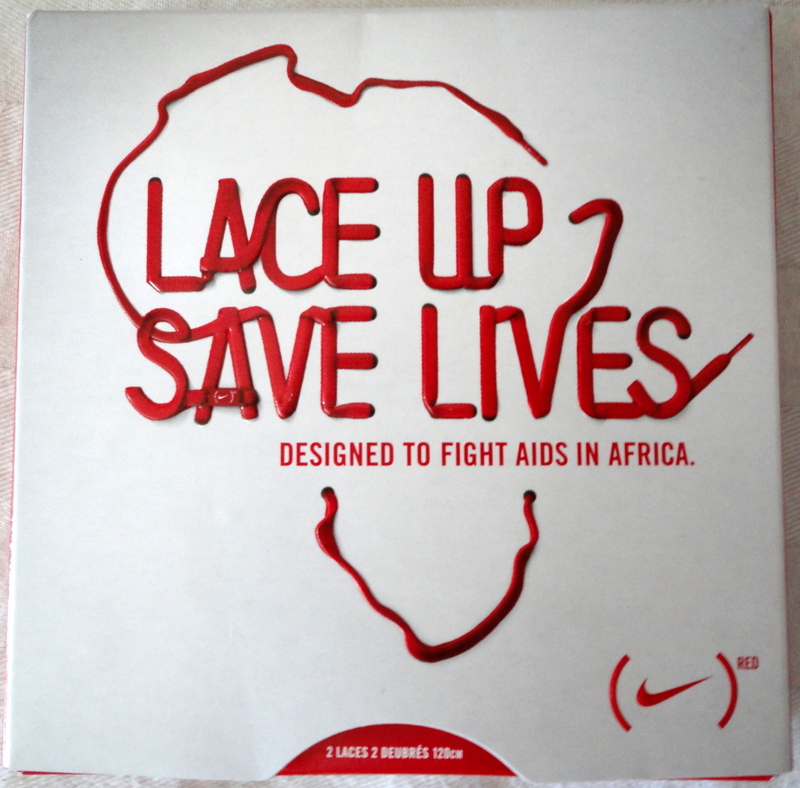 Do We Need Consumerism to Have Philanthropy? A recent piece in The Atlantic, Is For-Profit the Future of Non-Profit?, initially caught my eye because of its provocative title. As I started reading, it kept my attention with its message of individuals criticizing and downplaying the importance of the nonprofit sector. The piece profiles a few people who believe that philanthropy is most effective when folded into consumerism. People behind companies like PRODUCT (RED) and FEED believe that human nature is to want to shop, not to donate. So if we want to get the most amount of money from people, we must go to the source of what they do the most often – shop. What this piece illustrates, and I agree with, is that this argument and point of view cheapens the importance of philanthropy. The third sector, just like the for-profit sector or the government sector, has a place in our society and has its own successes and challenges. Just because it doesn’t look like the traditional big business money exchange doesn’t mean that it doesn’t have an important role in the lives of many. I can’t help but wonder if these people have ever made a large gift to a nonprofit or even understand what fundraising means. By making these sort of bold statements, they are undermining the value that philanthropy has – not just for the nonprofit or the people served by the nonprofit, but also for the donors themselves. The feeling a donor gets when they give a donation is a completely different one than when a consumer buys a good. The donor gets to be part of the greater good and she gets to know she is making a difference in the lives of others who need her. That kind of feeling can’t be replicated by buying a shirt. That kind of feeling is because of the ripple effect that her money will make, ultimately changing the world. Through donating to a nonprofit, you are changing the world. Fundraisers make that happen. Donating is your way to be part of something bigger than yourself. It’s your chance to make a difference in the world for people who need help. It’s how you can make an impact on nonprofit organizations that are doing important work. So, fundraisers actually have a very fun job: we get to make things like this happen. We get to connect people to causes they believe in, and we get to ensure that people make a mark on the world. I love being a fundraiser, and I have no problem “asking for money.” In fact, instead of asking for a favor, I am demonstrating an opportunity for people to make a difference. I am grateful every day that I get to do so. The Giving Pledge, a movement with the goal of encouraging the wealthiest individuals to give away a majority of their wealth to philanthropic causes, has been signed by more than 120 families in its nearly four years of existence. It has created some buzz about philanthropy amongst not only its target audience (the very wealthy) but also amongst general society. Whether praise or critique, people have talked about it. A recent piece in the Chronicle of Philanthropy, Giving Pledge Donors Gave Big in 2013 but Not Much for Today’s Needs, is an interesting critique of the pledge and its participants. It lists several issues with the Giving Pledge, including the allowance of giving to private family foundations (where money isn’t necessarily given to nonprofits for several years or even lifetimes) and the lack of opportunity to discuss where or why the money is given. There are some interesting points, but I disagree with the heart of the piece. The simple fact is that the Giving Pledge means people are talking about giving. The buck stops there and that should be enough for us in the sector to celebrate it. As much as we fundraisers would like to believe the word philanthropy is widespread and well known, it simply isn’t true. And while it would be wonderful if the very wealthy were having discussions about giving strategically and collaborating with their peers, I’m just happy they are talking about giving at all. I understand the points in this piece, and I appreciate many of the critiques, but I believe that at the end of the day, the Giving Pledge is a positive thing for the sector. Let’s continue talking about giving. Once it’s a standard in everyone’s language, let’s then discuss the ways we can improve. For now, there’s more work to be done at the heart of this conversation. 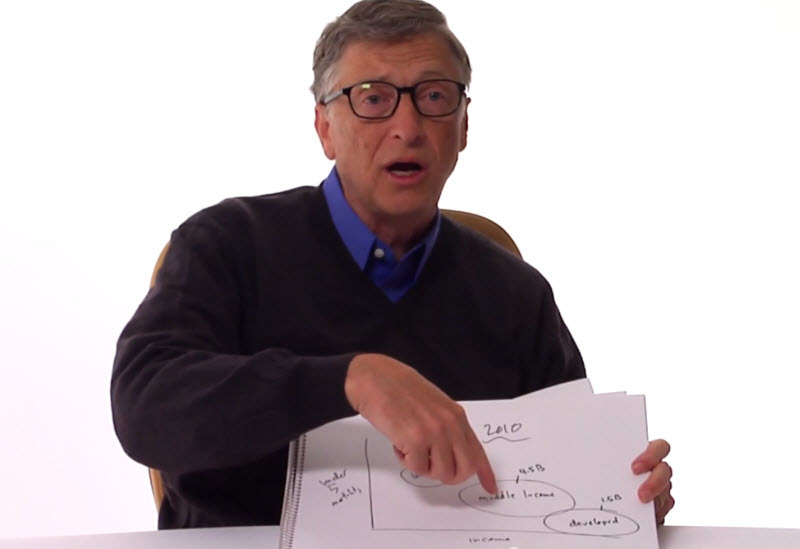 Bill and Melinda Gates published their 2014 Gates Annual Letter last month and it’s a great read. They dive deep into three myths they believe block progress for the poor – poor countries are doomed to stay poor, foreign aid is a big waste, and saving lives leads to overpopulation. I’ll let you read the letter on your own – it has some thought-provoking, insightful content – but the letter’s content isn’t what I want to focus on. I applaud the Gates’ for not only the important work they are doing with their foundation, but for the way they present it. They are passionate about certain issues and they bring them to the forefront of their communication. And, the world is listening to them. Our society has deemed them as worthy for us to listen to, because of their background, money, or otherwise. The Gates’ have a platform to use to advance whatever they would like to (or not at all), and they have chosen the work they do with their foundation as the work to shout about. Not only do I like the fact the Gates’ do great work and talk about their great work, I appreciate the way they talk about the issues they are working to solve and the cross-sector work they represent. They don’t put types of people (or types of sectors) in a box or category, siloed and helpless. They talk about the issues and tell everyone there is work to be done. Whether you’re a nonprofit, for profit, or government, there is poverty in the world and it must be eradicated. I encourage you to take a look at the 2014 Gates Annual Letter. Don’t worry about reading the entire thing for content (unless of course you’re curious about it), but pay attention to the tone of the letter and the way they are communicating. We need many more public figures to talk about issues that we can, and should, all be working on. Whether or not they wanted it, they have immense responsibility to address important issues.